Such as hold absurd tenets are seldom dangerous. Perhaps they are never dangerous, but when they are oppressed. Time again for Friday words! In honor of a certain movie that opens this week, the new word is a term that I had somehow managed to miss for the last five years: machete order. This refers to a suggested sequence for watching the existing six episodes of the Star Wars saga. Ron Hilton, a programmer in Colorado, came up with this term in a blog post in 2011. A lot of people want to re-watch the existing movies before seeing VII ("The Force Awakens"). Casual fans of the series might decide to watch the films in release order (IV, V, VI, I, II, III) or in episode order (I, II, III, IV, V, VI). 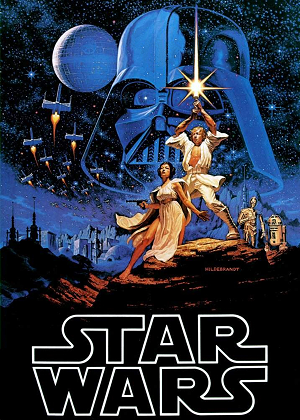 Not to get into a lot of details here (there's plenty to read online), but some of the episodes are weaker than others, since the series was written somewhat piecemeal, and Lucas and company had to conceive stories that stitched the first three episodes into a well-known storyline that already existed for IV, V, and VI. Moreover, as fans know, there is a huge reveal in V, which would be ruined by watching in episode order. Anyway, after a lot of thought, Hilton suggested this order: IV, V, II, III, VI. He dubbed this machete order because his blog is named "Absolutely No Machete Juggling" (explanation for that name is here). Machete order is remarkable in that it completely eliminates episode I. The benefits are, to quote the Facebook comment from which I learned this term, "you don't ruin the surprise in Empire [V], then you get 2 & 3 as a flashback, then resolution of the relationship with 6. 1 is throwaway, as you never see Maul, Qui-Gon, and Jake Lloyd again. Dropping 1 entirely has the bonus of less Jar Jar." One of these days I guess I'll try machete order. I'm certainly all for less Jar-Jar. For unexpected etymology this week, it's pretzel, which Mark Liberman wrote about recently on the Language Log. In the southern-more areas where German is spoken, this word is actually Brezel with a B. (For phonological reasons, this can sound like a P to people who don't speak those dialects.) Via a lot of intermediary forms, the Brez part of Brezel is related to the Latin word for arm (brachium); the pretzel is a bread that's shaped like folded arms. I'll speculate a bit here, but -el is a diminutive in German (think Hansel and Gretel—little Hans and little Greta), so Bretzel could be "little arms." 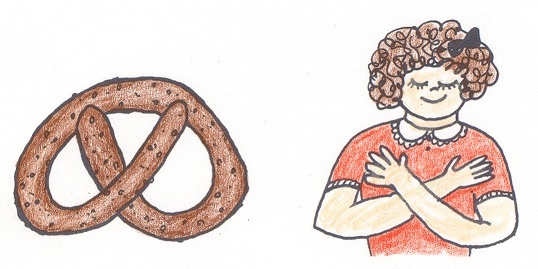 That means that pretzel is also related to these arm-y words: branch; brace; embrace; brackets; bracelet. This would have been a word that it was better to know a couple of weeks ago, so that those of us new to the term could have taken advantage of its implications, but alas, I heard it for the first time only a few days ago.